When IACS high schoolers showed up to school in the fall of 2015, their schedule had a brand new element in it: physical education. 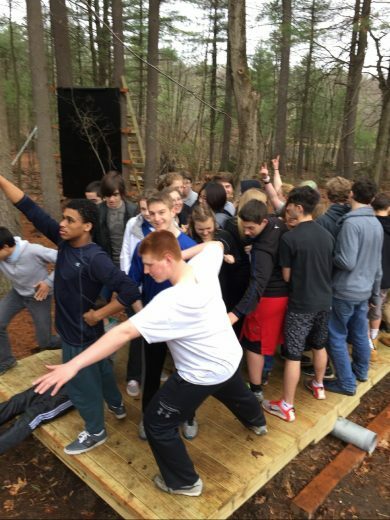 Although Innovation has no traditional gymnasium, Principal Erik Arnold worked with new teacher Kyle Thornton, who comes to IACS with 6 years of experience teaching middle school PE in Laconia and a Masters in Adventure Education, and veteran Donna Harrington, who has taught everything from Robotics to Yoga at IACS previously. Their goal was not only to get kids active, but to help build community and expose students to the kinds of physical activities that can become life-long habits. 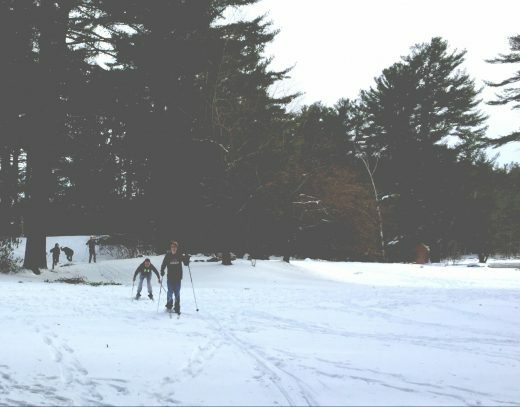 In place of a traditional gymnasium, high schoolers at Innovation take advantage of the school’s ample outdoor space, using it for activities such as yoga, frisbee, cross-country skiing and mountain biking. According to Harrington, getting kids outside during gym can do a great deal to combat not just the jitters, but also the stresses of being a teenager. 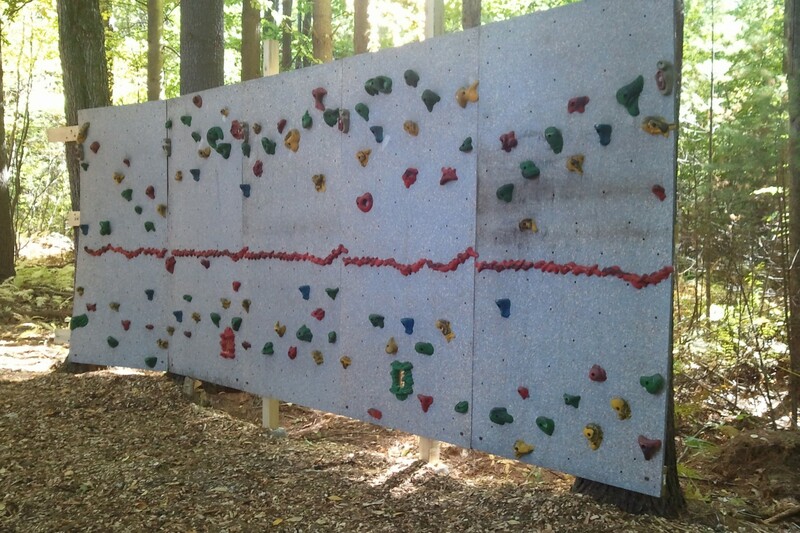 This fall, the facilities team finished constructing a low ropes for the students to use in team-building activities. 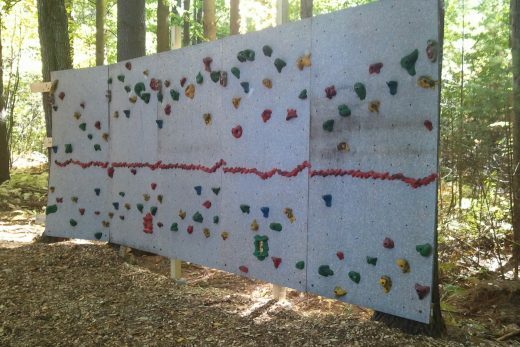 On the course, students will do everything from climbing a rock wall to traversing cables suspended between trees to helping work to move each member of an advisory through a tire suspended in mid-air. “We’re looking for activities that are not intimidating for anyone,” explained Donna Harrington, when describing how she and Thornton create the curriculum. 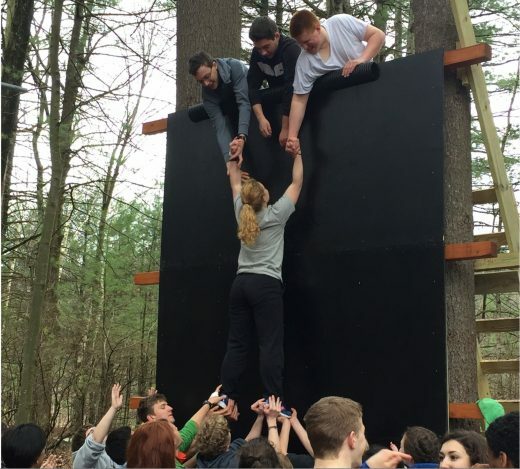 By using group-based activities which invite a range of levels of participation, students who traditionally would not like gym are able to get involved in class. Just a week into class, on the walk back into the building, a student confided in Thornton that, “I’ve hated PE my whole life, so when I heard we were doing this, I was really scared, but this class is actually a lot of fun.” That sense of enjoyment is a big part of what motivates Thornton to teach PE and what he came to IACS to create. Team-building on a low-ropes element a student built for his Eagle Project.